A slick video has been released promoting the new Diridon mixed-use development in Downtown San Jose. As a reminder, the project includes 1 million SQFT of office space, 325 luxury apartments, 35,000 SQFT of retail space, and multiple public plazas. 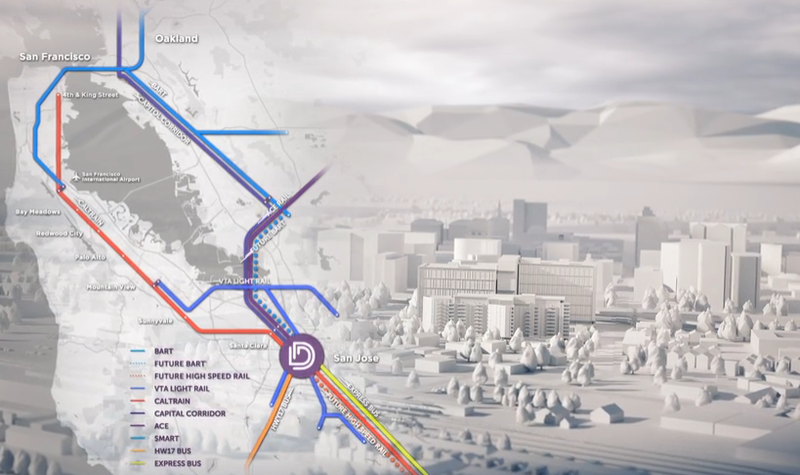 The video cites various perks of the location including immediate access to the largest transit hub on the west coast, easy highway access, proximity to the airport, and of course being in the very center of the tech world. It is only 3 minutes long and is worth a watch. It's impressive to see the caliber of projects we are now getting. Diridon from Diridon on Vimeo.